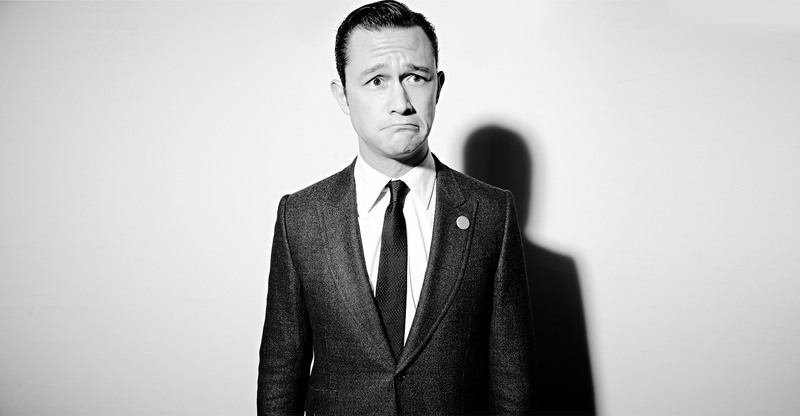 Mr. Gordon-Levitt, why do you carry a video camera around with you everywhere you go? I love being able to just record something that’s happening at a moment’s notice. I’ve been carrying around video cameras since before we all had them in our phones! I used to carry around a Mini DV cassette recorder in my tote bag. (Laughs) Back then it was more laborious, you had to transfer the footage of your cassette onto the hard drive. I even remember before that, before there was digital video at all, I had a High 8 cassette recorder that was my family’s camera. We would try to edit things by jumping to VHS tapes! That was only 20 or so years ago — and now we can record video, stream it live and send clips to our friends all from one device. Right, I mean it’s incredible what you have now — the ability to just shoot something and edit it, all on your phone right away. It’s amazing. I still feel that way! When I was 10 years old, if I had that I would have been freaking out, that was like a dream come true — my 10-year-old dream come true, it’s now just commonplace. It’s really cool to see that this exists now. So you grew up in a home where technology was embraced? It’s complicated… But I never really stopped to think are there any potential downsides to this incredibly powerful new technology until recently when I got involved in Snowden, which is about the global surveillance disclosures in 2013. For me, having privacy, for instance, is indispensable for my sanity and humanity. Maybe I have started to think more about privacy because of the attention you get from being an actor, but I don’t know… It would be very different if you knew that your journal was going to be read or that any conversation that you’re having in private is being recorded. If someone wanted to discredit you for any reason in the future, well they might be able to go back and listen to those conversations and make them public. We would all be in trouble in that case. Right and I think just knowing that that’s a possibility is sort of a deadening force. It means you’re less likely to experiment, to have those kinds of intellectual adventures if you don’t have privacy. Were you worried about playing someone who is considered a fugitive? There were people in my professional life, colleagues who warned me, “You know, this is a polarizing figure and you have to consider the commercial viability of your career,” things like that. I guess I’m just lucky that I made money, I was on a successful TV show when I was young and so I’m fortunate enough that I don’t have to base my decisions on money and I try to make my decisions on what inspires me — this movie, this story really inspired me. And the fact that Oliver Stone was attached as the director must have helped as well. You know, Oliver is a director that I love very much so when he offered me a job, I took it! Even before we worked together, he was really kind to me about the first feature film I directed, Don Jon. He said he liked it and he talked about several specific things that we did with the editing and with the camera — I thought that was really cool of him. Are you interested in continuing a career as a director? I do want to direct another feature, yeah, but I also love directing my television series, HitRecord on TV, so for the last few years I’ve been sort of fulfilling that creative urge in that way. It seems like you’re sick of the standard conventions of making movies and television in Hollywood. Look, I’ll be completely honest, I think the way that we promote movies nowadays, for example, is undoubtedly antiquated! This system came out of, I don’t know, the history of the seventies or the eighties or something and we’re still doing it this way. We’re kind of trying to experiment on HitRecord, you know, I look forward to promoting projects in more dynamic, more inclusive, more collaborative ways. HitRecord uses an open-source approach that depends on contributions from the online community, both for planning and production. I’d say that’s shaking things up a bit. Thanks man, it’s enormously fulfilling. My hope is that in the future working in conventional entertainment blends together with working in this newer kind of media, where there’s less of a wall between artists and audience. I do think that that’s the future of what the media is going to become. I was listening to a talk the other day by this scientist named Alan Kay — really brilliant guy and he was talking about how historically whenever there’s a new technology, people tend to first use the new technology in the way that they used to use their old technology. His example was the printing press invented in 1400s, for a long time the only thing they used it to print was Bibles. It wasn’t for a number of generations before they started using the printing press to print other things. And now we’re kind of doing the same thing with computers. Exactly, we’re sort of using computers the way that we used to use our old technology, newspapers, televisions, radios or film screens. But in the coming generations people will use the Internet to do things that will just blow our minds, things that we can’t even foresee that will be as revolutionary as the Scientific Revolution or the Renaissance. It just hasn’t happened yet. And I look forward to seeing what it is when it does. (Laughs) I mean, look, I think — I actually see myself as not the pioneer; I’m sort of the director of this new creative process. I guess maybe if HitRecord has anything it has one foot in the old way of doing things and one foot in the new way of doing things and I think it’s maybe a bridge towards what’s really going to be new.